The drama never ends with Selena Gomez and Justin Bieber. Even though the two pop stars haven’t been together for quite some time now, it looks like they’re both having a hard time moving on. This time, Biebs is the drama queen, as he won’t stop bugging Niall Horan about his relationship with the ”Good For You” singer. Selena appears to be sick and tired of all the drama and that’s why she told Niall to put Bieber on ignore. The ”Sorry” singer is constantly texting Niall, demanding an explanation from his former friend about his romance with his former girlfriend. However, it seems highly unlikely that he will receive a response. 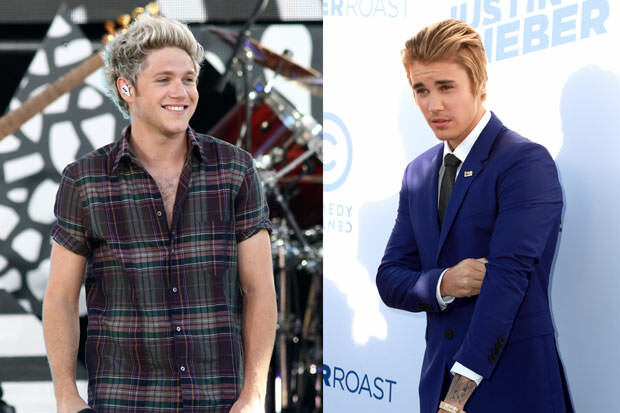 Not only did Selena advise Niall not to talk to Bieber but the One Direction star also hates confrontations, so Justin’s plan to cause trouble in their relationship is bound to fail. Besides, Justin has no right to interfere and demand anything, seeing as he’d been hooking up with Kourtney Kardashian long before Selena and Niall started dating. Also, Selena would be crazy to get back together with Bieber after finding such a nice boyfriend like Niall.